As we go through our day, we always have tons of thoughts scrambling in our head. We forget what's important or some good concept that passes by. With Phree, you can scribble your ideas anywhere in an instant. For short, the world is your notepad. Phree is compatible with anything that has bluetooth connection and apps like Office, OneNote, Evernote, Acrobat, Google Handwriting Keyboard, Viber and more. Equipped with Optical Translation Measurement, the gadget accurately tracks down your hand motion like the way you use your ballpen in any surface. For easy navigation, there's a small touch screen display. You can be able to send and receive messages, one click to instantly draw and save to your device and even make it as your bluetooth headset. Functionality and style doesn't always go together but with Vessi Waterproof Knit Shoes, nothing is impossible. After two years of experimenting and developing. The Vessi Footwear team finally achieved the world's first 100% waterproof shoe technology. You'll never have to worr y again getting your socks and shoes wet. Armed with nano-filtering membrane technology that keeps the liquid out and the same time allows your feet to breathe and reduce sweat and bad odor. Looks like an ordinary shoe, but the features are incomparable. No matter what weather this shoes can pull it off. Ever struggled with coffee accidents in the morning, staining your favourite shirt, smelling bad and getting late for work? Vardama clothing solves your problem. For two years of trying and finding the right formula and prototype, making the impossible possible. 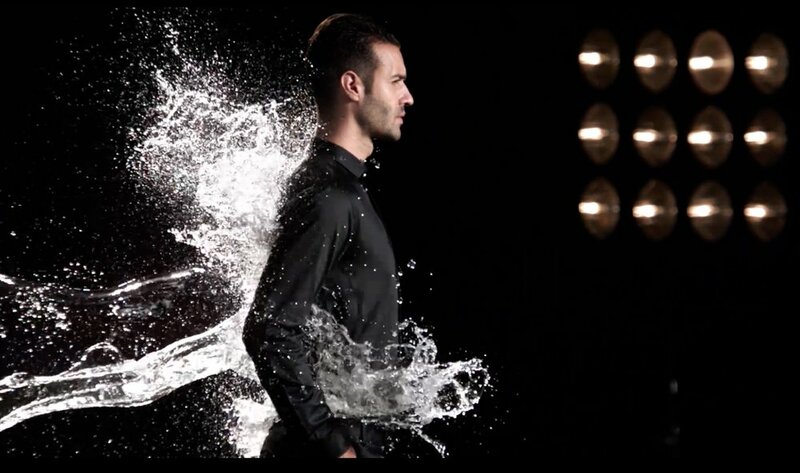 This outstanding clothing piece is water-based resistant which means the shirt will never get wet. Featuring Interwoven state-of-the-art fibers that aid controlling your body's temperature giving you more air and less perspiration plus setting your sweat's odour out and keeping the freshness in. Superior comfort and adaptability is their main goal. You could never go wrong choosing Vardama Clothing as your day to day wear. Low battery warning has always been everyone's worst nightmare especially going some where important. Have you ever experience going into a party then your phone died? Be prepared and have a back-up battery pack. Torro Bracelets aims to combine functionality and style. Luxury leather bracelets that have a discreet MFI-Certified lightning cable built inside. So you'll never worry about forgetting your charger at home or running out of battery. Available in seven different colors. 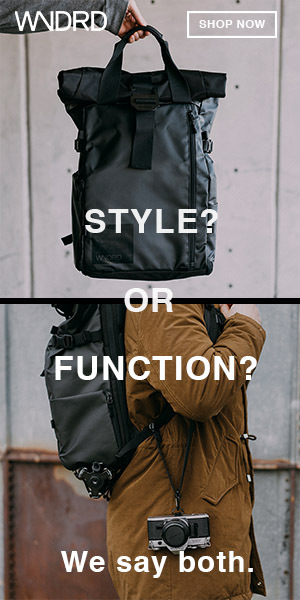 For sure you can pick what fits to your style. The strongest and incredible shockproof protector, the Mous Case. Offering you advanced Airoshock technology that greatly absorbs impact without giving your phone a scratch. The slim design adds only 2.6 mm of thickness to any iPhone, it’s like a normal case with an excellent advanced smart-material engineered to offer the ultimate protection. Even if you drop your smartphone a couple of times or falling from a 50ft floor, the Mous case is 100% reliable. That’s one of the reason they raied up to $2,000,000 of funds on Indiegogo. Aside from having a ultra-slim and sleek design case that give an eye-catching look on your smartphone the case is extremely functional as well it has a built in embedded steel plate at the back of the case ready to stick to the magnetic mount or on your car’s dashboard. The iPhone protector comes in many designs to suit your fashion and it comes from real authentic materials without a doubt this protector is limitless. Check the video for more proof. 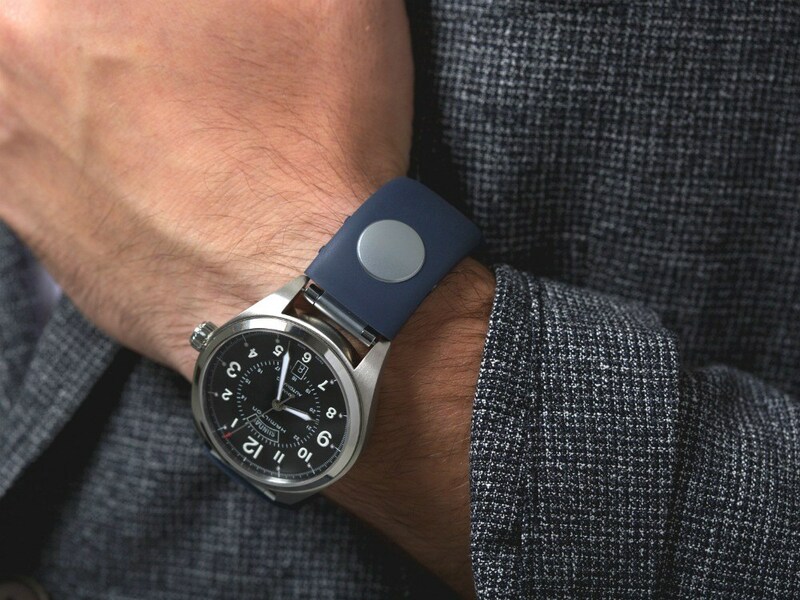 Sgnl is the world's first smart strap that can give you a magic touch. To answer simply tap the strap and place your fingertip on your ear. The band features a high tech microphone so you can talk clearly even in loud places. 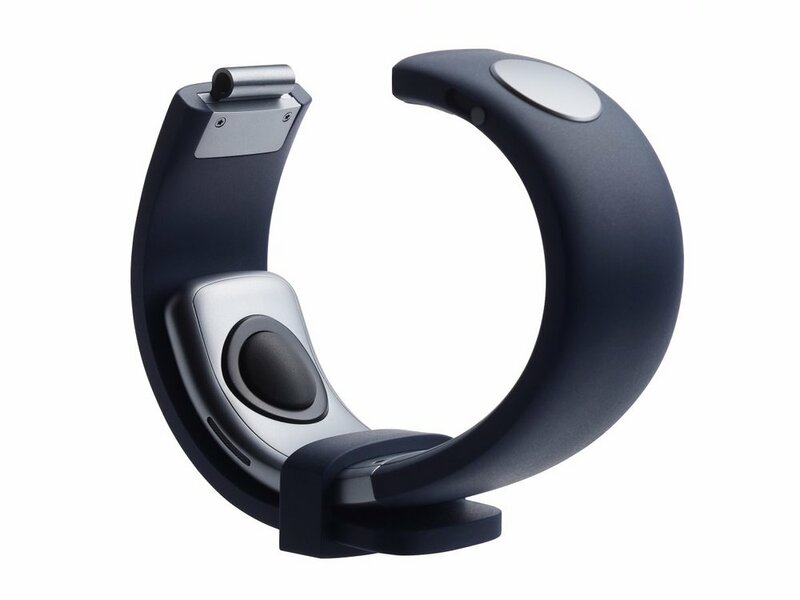 The smart device receives the voice signal and Sgnl will create vibrations through its Body Conduction Unit technology, the vibration transfers to your hand then to your fingertip. The vibration echoes to produce amplified sound within the space of your ear and blocks out the background noise. If you're like me who's always on the phone and moving around the area, then we have a mutual issue when using the corded charger but don't worry anymore the Mophie wireless charger got your back, you can now drop and get your phone in an instant. The black round device charges your phone fifty percent faster than any wireless charger out there. All you have to do is put your smartphone on top of the wireless charger and everything will take care of itself. Even with an iPhone case it can still charge your phone. Featuring Qi wireless technology, the smart device activates charging immediately and ultra-fast. Covered with a black rubberized non-slip coating, you can leave your phone with a peace of mind. We've all been there, sneaking our most-liked tipple during festivals, bars or hiding it from the teachers and parents. 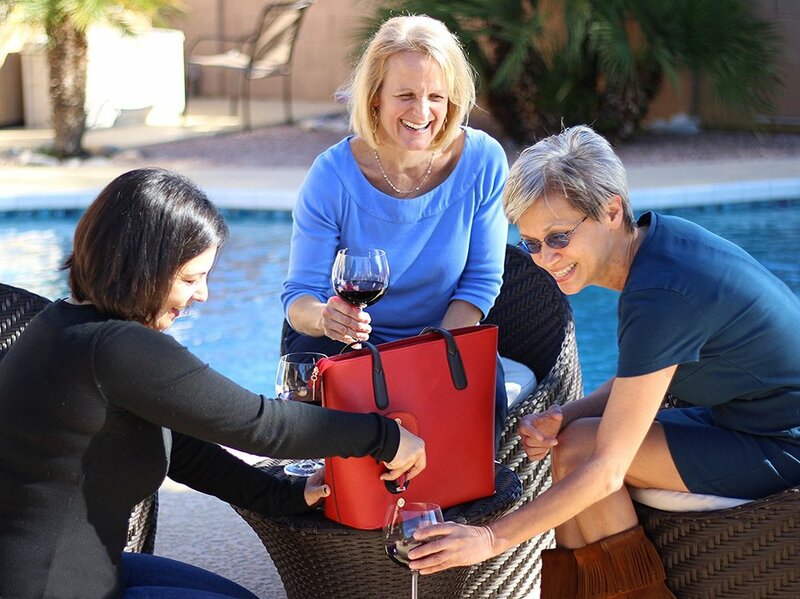 For the alcholics, the PortoVino Wine Purse solves your problem. Beautifully designed luxury bag but this one has a secret plastic stash that you can put your favourite beverage inside. There's a spout connected to the stash so you can pour your drink easily. The PortoVino shoulder bag has a lot of space for your daily needs, the inside of the purse is spacious and with a hidden compartment where you can put the stash. You can take the secret pouch out of the bag and wash it after use to keep it clean. The stash can hold up to 1.5 liters of beverage or two bottles of wine. You'll never regret getting this one. This one saves life. 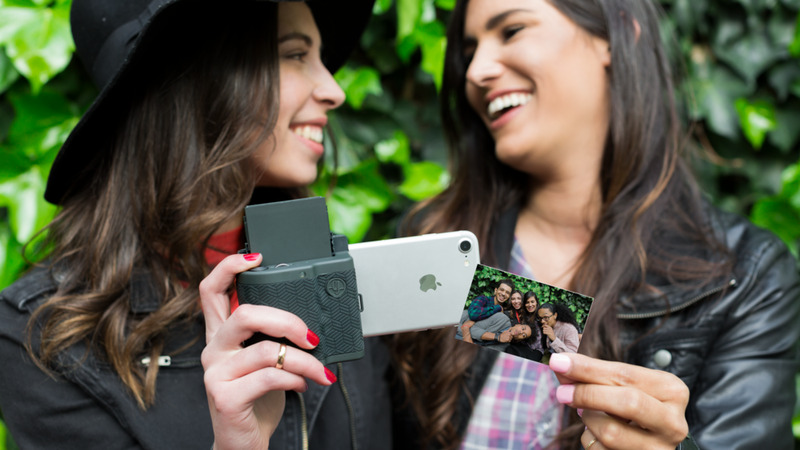 Grab a copy of your favourite moments in real time with the Prynt Pocket. The iPhone case that can print your photos in seconds. This is the ideal gadget if you’re looking for a modern polariod. The camera case is made up of plastic and has a textured curved grip that fits perfectly in your hands. What makes this printing case standout from other case is, it has a built-in lightning port which gives faster and no inconvenience of Bluetooth disconnection. With the sliding adjustable case, the Prynt Pocket is compatible with Iphone 5 up to Iphone 8. The case comes with a magazine and ten free Zink 2 x 3 size photo paper that features a sticker back. In order to print, you need to download the Prynt Pocket Application. You can put frames, filter, add text to your photos, adjust the lighting, and cut your most-liked part of the video. After printing, the photos comes out dry due to Zink paper which is inkless. Available in four colors Graphite, Cool Grey, Lavender and Mint Green. So make your selfies or photos come to life with the first photo-printing case. If you have top secret plans or classified pieces of information then the LockBook is perfect for you. With built-in biometric fingerprint sensor, you'll never worry about leaving it anywhere in your home. The Lockbook offers you multiple pockets to keep your photos, cards, documents and other important stuff organized. Beautifully designed to match with your style while securing your million dollar ideas. Covered with Ballet Lace PU leather and SVEPA Thermo PU, the smart notebook is waterproof and high-scratch resistance. The Lockbook is available in six different colors. Find the exact color with the Color Muse Identifier. The smart device is a color scanner, it can detect all range of hues, different patterns, paint brands, and textiles. To use the Color Muse, just download the application, it's for free and pair with your smartphone. Put the identifier device to the color or textile you want to know and press scan, it will automatically find the identical or closest color next to it. You can save the picture and color or you can even share it to other social media platform. With this in hand, you'll be a color expert. Tired of having plenty of cards inside your wallet? The Fuze Card is ideal for you, the smart card can store all types of debit, credit, gift, reward & gas card up to thirty cards. The eye striking device has a built in feature of remote wiping technology, e-paper display, EMV chip technology and location tracking system in case you leave your card somewhere, it will automatically alert you through your smart phone. If the card got stolen you can delete everything using your smartphone. The all-in-one card is perfect for your everyday lifestyle, it is safe, secure and no more hassle of finding the right card to use. Never ran out of battery again with the universal ChargeTech power bank. Built in charging port for any event, the ChargeTech is the complete package. The rigid power bank has two USB ports powered with FastCharge technology that will rapid charge your battery's phone in an instant. With a 27,000mAh capacity, you'll never get stuck again next to an outlet. The compact device is perfect for your everyday life with the small and sleek design that you can just slide it in your bag. Scan and press your favorite document and transfer it easily with the Pup Connected Pocket Scanner. The state-of-the-art scanner takes a clear copy of books, certificates or anything. With one press of the button, the laser box will show and you can accurately adjust the size to fit your document. After taking the scan, the files will automatically move to your personal cloud where you can use it or transfer it anywhere. The Pup is small and compact so you can slide it in your bag anytime. 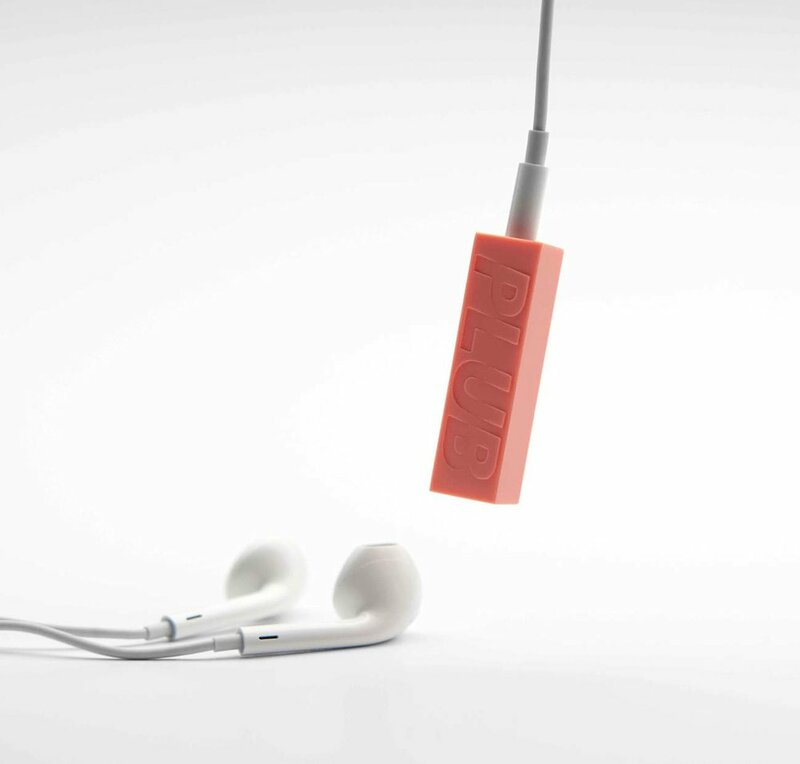 Turn every wired earphone into a wireless one introducing the Plub. 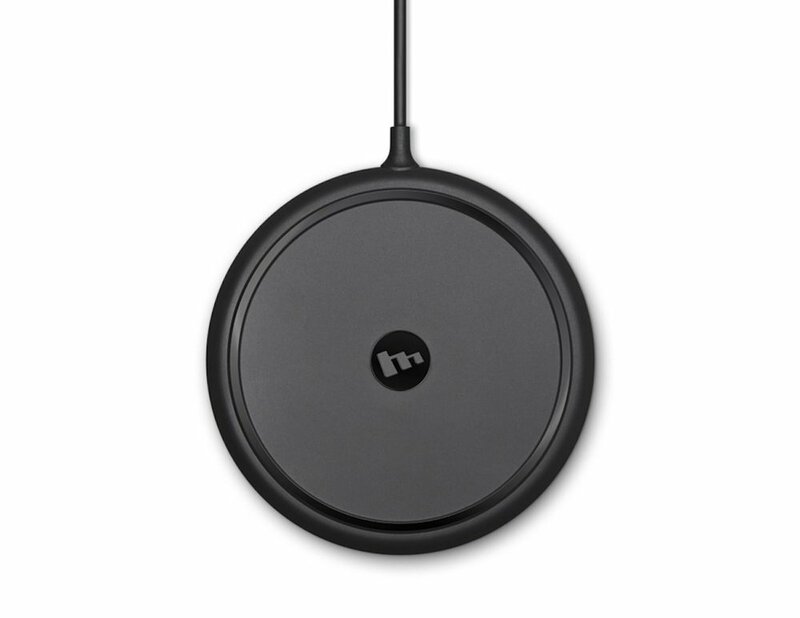 The minimal Bluetooth receiver has a 3.5 audio jack ready for your headset. Simple as it looks and very easy to use. Just connect your smartphone to the Bluetooth Plub, then plug your earphones do whatever you wanna do wirelessly. Features Bluetooth aptx CSR Chip giving you exceptional and crystal clear sounds. Weighing only 10 grams and 5 hours of battery life. The Plub can easily fit everywhere. Stay simple and minimal with the cutting-edge Spend Wallet. The sleek designed device that can store up to 20 cards plus with a digital screen that can last 4 weeks of battery life with a single charge. Covered with aluminum and plastic the wallet is strong and durable for the years to come. With built in capacitive touch sensor, you can easily register your cards or clean slate all the files if lost. Experience a smooth payment with Spend wallet. Nothing compares with the complete package smart wallet, the Volterman. Amazed by its features, every essential thing you need, Volterman has. Leaving your wallet off-guard always happen and you can't prevent it from happening. Starting off with the GPS tracking system, every time you forget your wallet, Volterman sends you distance alarm notification when it's not around you and if you ever fail to recall where the last place you put it, it has a built-in worldwide tracking system. It means that you'll never lose your wallet again. If it gets stolen, it has a hidden spy camera on the upper left side, taking photos everytime it gets opened and forwards to the paired smartphone. Additionally, it has a 2,500 mAh power bank with wireless charging ability and a Global Hotspot in case if you're traveling around the world. Not but not the least, it's RFID protected. With a pretty simple brown leather wallet, this features will leave you astounded. Increase your peace of mind with the Yellow Jacket Case, with this on your hand you'll feel safe wherever you go. A stun gun together with the gadget you use always use every second you're protected all day The case has a built in 2600 mah power back up and a flash light. 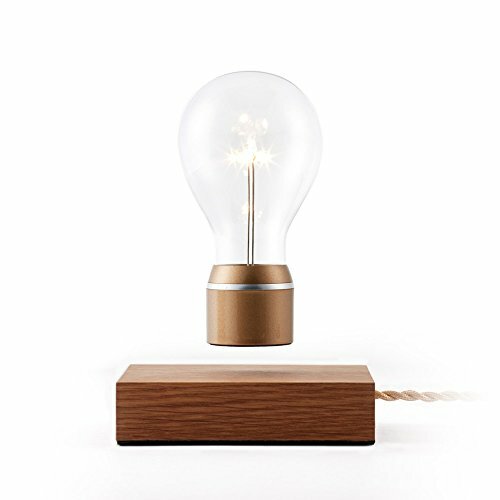 It will alert you with the LED indicator when the power is low. The perfect defense weapon to carry around every where with you.